"All of this, to start our new life." Yes! Only one month to go. 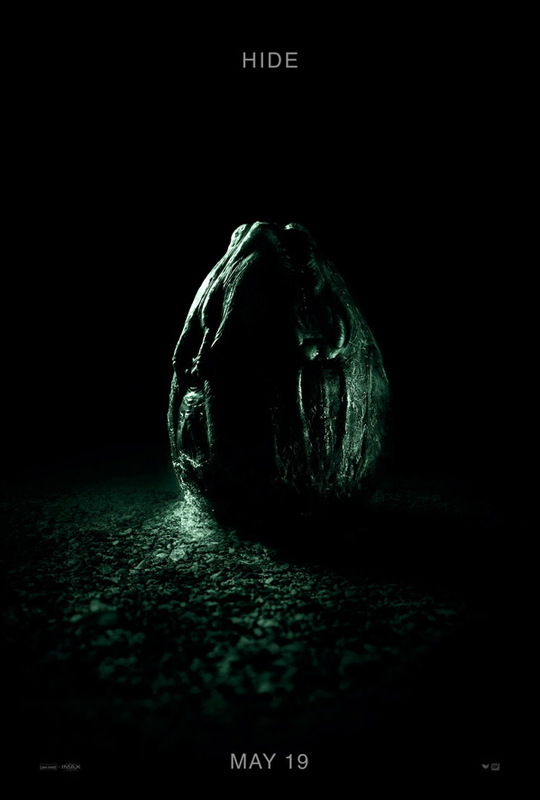 20th Century Fox has released three new TV spots for Ridley Scott's return to the Alien universe (following Prometheus), with Alien: Covenant. These spots are titled "Run", "Pray", and "Hide", which is the perfect way to tease this movie - the same taglines they've used on the teaser posters as well. The huge ensemble cast of this sci-fi thriller includes: Michael Fassbender, Katherine Waterston, James Franco, Billy Crudup, Danny McBride, Carmen Ejogo, Callie Hernandez, Demián Bichir, Jussie Smollett, Uli Latukefu, Benjamin Rigby, and Amy Seimetz. These are short, but sweet TV spots, with just the right amount of footage and scares and thrills. The marketing for this movie has been pitch perfect so far, I just hope the movie lives up to the hype.